Charles on आग. . HD Wallpaper and background images in the Brooklyn Nine-Nine club tagged: photo brooklyn nine-nine charles fire operation: broken feather. 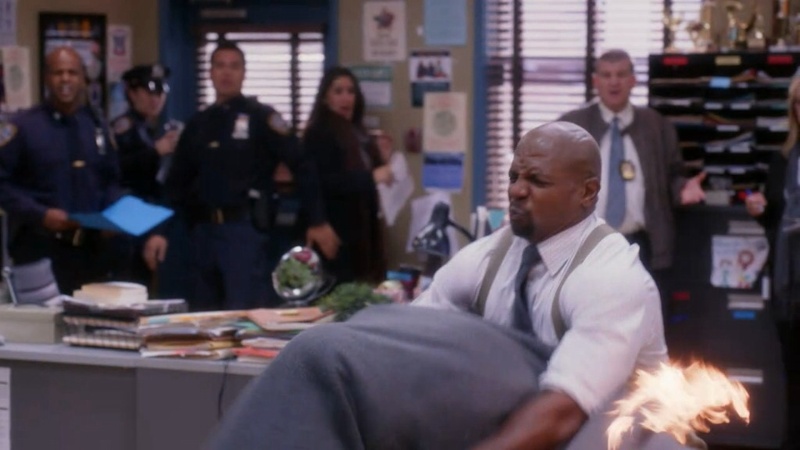 This Brooklyn Nine-Nine photo contains चोली and ब्रासेरी. There might also be बिजनेस सूट, बिस्टरो, सड़क, शहर के दृश्य, शहरी सेटिंग, शहर दृश्य, and शहरी की स्थापना.